Leather is a strong yet soft natural material. The soft sole allows the child´s foot to grow naturally. Keeps the childs feet warm, allowing them to breathe and provides a good grip when the time comes for the child to learn how to stand up and walk by themselves. Comfortable, easy to put on and stays on the foot with the help of an elastic rubber band. 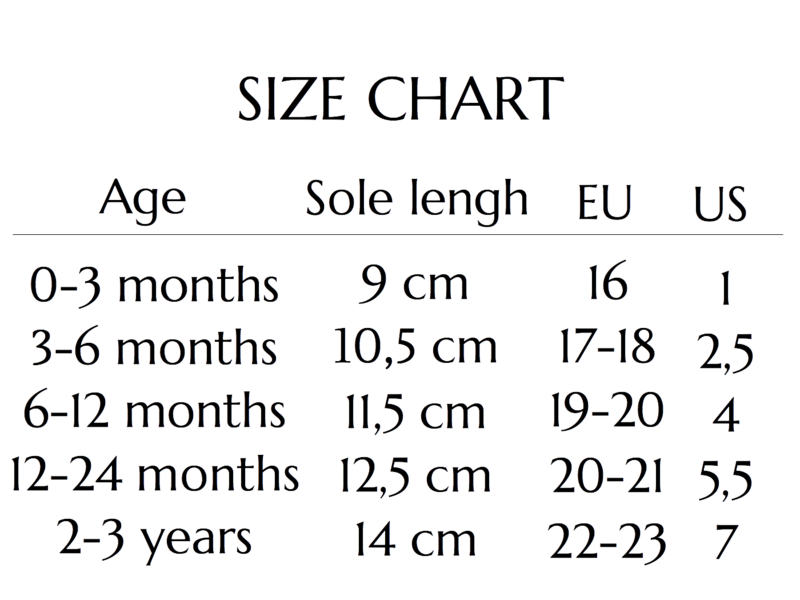 Size guideline is on average age sizes. It’s recommended that you always measure ur childs foot before ordering. Leather is a natural material that stretches over time. If your between sizes the recommendation is that you choose the bigger size.